A goal without a plan is just a wish. 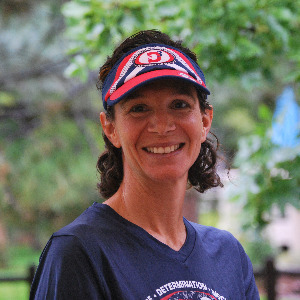 D3 Multisport Coach Alison Freeman is a USA Triathlon Certified and TrainingPeaks Level 2 Certified Coach. Alison is structured and data-driven in her approach to coaching, believes that the coach-athlete relationship is as important as the training, and always sets her athletes up for success. It's not about how bad you want it, it's about how hard you're willing to work for it. Specializes in athletes new to long-course (70.3 and 140.6) triathlon. Also specializes in athletes with time-constrained or non-traditional schedules. Proven success with getting first-time 70.3 and Ironman-distance athletes to the start and finish lines. Proven success with time improvement for experienced 70.3 and Ironman-distance athletes. My only requirement is that you, as the athlete, will communicate with me regarding your workouts and other relevant life info. An athlete-coach relationship is nothing without good communication! Success. Coach Alison Freeman has been notified of your message. To hire Alison Freeman as your coach, select the coaching service that is right for you.